The ShenRay Mecanic Mech Mod Clone is a 25mm mech mod with hybrid top cap for more power hit. It is constructed from brass. It features 4 point contact system and soft pressure point for comfortable activation. The recessed button can reduce risk of auto firing. The mod is powered by single 18650 / 20650 / 20700 / 21700 battery (NOT INCLUDED). This item also has other colors to choose. Don't worry,this time we present to you the ShenRay Mecanic Mech Mod Clone unboxing video. 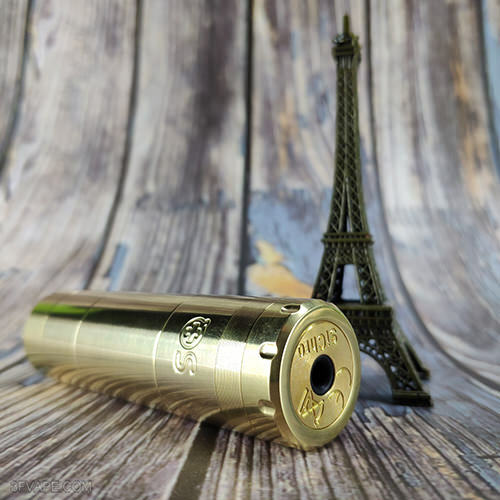 Today let's check the Real Scene Photo of the ShenRay Mecanic Mech Mod Clone - Brass.